Global Journey Music and Audio CDs offer the very best selling and most comprehensive selection of original CDs Worldwide. Our high quality music is composed and performed by leading professional musicians and artists who have worked for many of our mainstream recording stars, International Orchestras and for Film and TV. 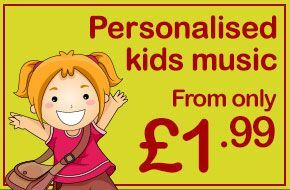 Our current music range includes Wellbeing, Relaxation & New-Age, World music, Nature & Music, Nature Sounds and Children's. How do you make the most magical time of the year just that little bit more magical? This double album of classical Christmas favourites, by artists such as Liberace, The Mantovani Orchestra and The Hollywood Bowl Orchestra will provide an idyllic soundscape for Christmas Day. This double album of Christmas choral favourites by some of the greatest orchestras and choirs is hauntingly beautiful and is the ideal accompaniment for the festive celebrations. Music doesn't get any better than this - African music at it's best by Miriam Makeba; the Grammy award winning South African singer who, in the 1960's, became the first artist to popularize African music around the world. The powerful and emotive music of N’Chant Nguru embodies all that is Africa. The raw vocals punctuate the rhythmic beat of the music and together they affirm the wonders of this most magnificent continent. Enjoy your own ethereal sanctuary as this beautiful album combines the subtle nuances of the heavenly realm with joyful, optimistic and relaxing compositions. Antarctica, a place of such raw beauty and unspoilt landscapes, a stunning wilderness of great importance. The polar experience is one of awe inspiring imagery from; the southern lights (aurora australis) and whale-watching to the amazing penguin colonies and the glacial configurations. The benefits of Aromatherapy go way beyond the medicinal properties of aromatic plants and extracts. Fragrances can enhance our mood, have a soothing effect on our nerves and promote a meditative and reflective state of mind. Twelve tracks of pure serenity based on the hugely successful Zodiac Zone series of CD's. Each track represents a different astrological sign and written by twelve different composers, one from each star sign. There is nothing as moving as an Irish ballad. Whether in good times or bad the Irish always have a song to sing and a story to tell. These traditional ballads cover a multitude of subjects but together they portray the emotions and aspirations of a nation. Enjoy the best that Nature has to offer, from the serenity of the sea to the raw excitement of a fierce thunderstorm. This album features a compilation from Global Journey’s Nature Recording Series. Six exhilarating soundscapes highlighting many of the planets' most amazing species and habitats. Early morning, deep in the countryside, the glorious melodies of songbirds fill the air. Discover your own personal paradise as you lie beside a stream and let the songbirds serenade you. Coffee and music are both integral to Brazilian life and this album conjures images of a café veranda overlooking the golden sands of the Copacabana Beach. As the cooling breeze meets the heady intoxication of the coffee bean scent and the smooth rhythmic samba music hangs in the air, the result is both life-affirming and very relaxing. The Café Mapocho take it's name from the river the Café is awash with a spirited and lively atmosphere that imbues a joie-de-vivre amongst all those who dwell. In a cafe in downtown Havana the smell of the coffee hangs in the humid air, the intoxicating aroma and the sensual Cuban music create a most inviting welcome. Welcome to Café Mañana* where nothing is urgent, nobody is in a hurry and chilling-out is a way of life. The Café is replete with a myriad of colourful cakes and other delicacies and the heavenly aroma of coffee hangs in the air. Sit back with your favourite cup of coffee, let the music wash over you and let your senses take you on a journey to Café Mañana. In Old Istanbul a temporary interlude from the abounding tumult and the midday sun can be found at Café Taksim. The vibrant atmosphere of Café Istanbul is juxtaposed with the elegant interior, the subtle music and the almost addictive coffee aroma. Let the music take you to this Eurasian metropolis to sample the delights of Café Istanbul. Down an old, twisting Parisienne laneway where time seems to stand still, you will find a small pretty Café with a collection of small tables outside glistening in the winter sunshine. Upon entering you are overwhelmed by the aroma and the relaxing ambience. Sit back, sip your coffee, listen to the beautiful music and let the stresses of the outside world drift by. No single instrument can create a mood quite like the steel drum, it positively bursts with life. This euphoric album will transport you to an island paradise where the sun always shines and the life affirming beat rejuvenates the spirit. Traditional Celtic Christmas tunes and old favourite with a Celtic accent. Give your Christmas a Celtic flavour this year. This masterpiece of Irish dance, music and song takes you on a journey to ancient Ireland and a time of myth and legend. Boann’s Clan portray the fantastic story of the water goddess Boann, her son Aonghus, the god of love and the Tuatha Dé Danann. No musical instrument conveys the story of the Celts more than the harp and nobody wrote more emotive pieces for the harp than Ireland's most famous composer Turlough O'Carolan. His compositions are over 300 years old but remain timeless. With the music very much to the foreground, in the distance you can hear the sounds of the ocean rolling into Dublin Bay, the combination is stunning. In Irish Heritage the Harper and the Poet personified the Irish and ranked second only to the King. This immensely emotional album hears the harp, Uilean Pipes and the penny whistle evoke images of Ancient Ireland. The seemingly hypnotic effect of these beautiful Celtic tracks will invoke an image of unspoilt rural beauty and a sense of tranquility that will stay with you long after the music has stopped. This odyssey to Tir Na Nog, the legendary heaven of Celtic Ireland, is an ethereal journey imbued with the mysticism and spirituality that embody the Celtic Soul. Frank O’Connor performs on Guitar, Piano and Tin Whistle and his evocative compositions combine intricate themes with subtle instrumentation. The Flannery’s at their best produce the definitive example of Celtic rhythms. Their style exudes a carefree exuberance that is as spontaneous as great Irish music should be. This beautiful album gracefully blends these Celtic melodies to evoke images of an enigmatic place where time stands still. These simple yet enchanting songs feature traditional and modern instruments. Quite simply, there is no music better to chill out to than Jazz and this album re-defines the boundaries as to how sublime Jazz music can be. Ultra-subtle percussion allied to the most laconic brass section enhanced by the limpid beauty of the cello is the perfect marriage of; melody, arrangement and restraint. The mysticism and spiritual aura associated with Tibet are the bedrock of many Eastern Philosophies and practices. On this album the haunting vocals are fused with more contemporary sounds to produce a spellbinding chill out collection. Classical Child 2CD Two wonderful classical CDs for children. The combination of the awesome majesty of a thunderstorm and some of the most inspired classical music ever written. The subtle tones of Shelley Beaumont’s piano and the tranquil strings of Keith Halligan’s guitar interpret these great classical compositions in sublime fashion. These exquisite performances are then taken to an ethereal level of serenity with the addition of the calming sounds of the sea. Six sublime albums featuring a broad spectrum of composers although most importantly the prevailing theme is relaxation. The beautiful but contrasting harmonies of the flute and didgeridoo combine to stunning effect and illustrate the hidden majesty of The Great Barrier Reef. These laid back compositions will transport you to the Coral Reef and will leave a lasting impression as well as transmitting a relaxing and refreshing ambience. Our fascination with crystals goes far beyond the beauty of their shape, colour and form. Ever since the Greek and Roman empires the benefits of the stones has been passed down through the generations. The positivity and healing powers of the crystal can be very beneficial. The greatest hits of H2O, these four tracks capture our most valuable resource at it's magnificent best. It is now widely accepted that stress can cause many illnesses, both physical and mental and also can promote existing illnesses. Most people need to develop stress management techniques at one time or another and this excellent title can provide huge relief from the stresses and strains of everyday life. The freedom and grandeur of one of nature's most enchanting creatures and their habitat come alive in this collection of elegant original compositions. Bottle-nosed Dolphin, Humpback whales, sea gull and ocean surf collaborate with steel string acoustic guitar, piano, oboe, violin, base, synthesizer and more. The result is soothing arrangements, imaginative instrumentation and exquisite melodies that take you on a magical journey to this mysterious underwater Dolphin Paradise. Dolphins, enchanting and magnificent, they were revered as gods by the Ancient Greeks and Native Americans see them as Manna (Sacred breath of life). This sublime album of charming and delicate music combined with delightful nature sounds is a joyous yet relaxing tribute to our Dolphin friends. This reflective album is a transcendental tribute to Mother Earth and the culture, traditions and spirituality of her Indigenous peoples. The meditative ambience is a portrayal of the Aboriginal "Dreamtime" in which the hypnotic tones of the didgeridoo are absorbed by the conscious and sub-conscious mind. This reflective sojourn, to Greece on a blissfully sunny day, will conjure magical images of this enchanting country. Imagine you are sheltering from the warm sun under an olive tree and let the mayhem of the outside world pass you by as the beautiful bazouki music provides the perfect soundscape. Sitting in an Irish Meadow, a small stream beside you and the distant chorus of birdsong ...this beautiful soundscape is almost perfect.... and then you hear the most beautiful tune; featuring harp, flute and piano. The combination of these stunning contemporary Celtic Music compositions and the nature sounds will leave you spellbound and thoroughly enchanted. Deep in the Eternal Forest, where time has no meaning, the majestic waterfall cascades endlessly over the rocks. In the distance the birds chorus their approval as the rain begins to fall. Relax and enjoy this visit to the Eternal Forest as the spellbinding sounds of nature and dreamy contemporary music, ensure the most complete relaxation experience. The beautiful harmony of the flute enhanced by nature's own melody of the forest conjures this wonderful album which is both uplifting and relaxing. The nature sounds and music have been lovingly woven together so that the music comes to the fore when the birdsong abates and the birdsong comes to the fore as the music recedes, the harmonious fusion will rapidly become a Global Journey favourite. The Ghost dancers were members of the Lakota Sioux Tribe who believed that if Indians danced and sang to certain songs they could bring friends and relatives back from the dead and the white man would disappear. They wore ‘Magical’ shirts which they believed to be bulletproof. This evocative and emotive music featuring authentic instrumentation pays tribute to the Ghost Dancing religion and a people who’s devotion to family and community, with guidance from their ancestors, have survived many setbacks and constitute an integral part of North American history. The Great Barrier Reef is widely acclaimed as an aquatic Garden of Eden and these recordings capture some of the magnificence of the idyllic ocean paradise. In this hectic world we all need to find time to relax, unwind and soothe the body, mind and soul. The ethereal ambience of these wonderful harp compositions by Bethan Myfanwy Hughes will create the perfect soundscape for serene contemplation. To focus solely on our relationship with our divine guardians, who guide us down life's pathway, is as spiritually rewarding as it is relaxing. Stunning Classical Guitar interpretations meet the relaxing sounds of the shore. The combination proves sublime as a tranquil state takes over. Guitar by the Sea succeeds last year's number 1 best selling album - Piano By The Sea - continuing the enduring sensation of well-being & relaxation. 10 Beautifully mastered tracks by Global Journey for just £9.99, enjoy. When the most relaxing harp music imaginable is merged with the sublime sounds of the sea, gently caressing a deserted sunlit beach, the result is a complete indulgence of the senses and a wonderful sensation of total serenity. Very probably the most relaxing album EVER! The delightfully subtle nuances of Bethan Myfanwy Hughes' solo harp seemingly leave the notes hanging in the air, and the serene nature sounds in the background provide an idyllic soundscape in which to escape. Idyllic Hawaii is nature's masterpiece. These magnificent compositions of sublime tranquility complemented by the serene sounds of the sea will take you on a journey - to a deserted beach on a cloudless day as the palm trees rustle gently in a cooling breeze - Paradise Found. This collection of original compositions summons images of the rugged majesty of the Grampian mountains, Ben Nevis, the serene allure of the Lochs and the breath-taking countryside that make a visit to the Highlands such an unforgettable experience. Out of the highland mist comes the call of the bagpipes. Traditional sounds blended with enchanting melodies and stirring themes. The spirit of Scotland transcends the centuries in a captivating collage of ancient and contemporary sounds. Native Americans believe that the spirits communicate with the tribal leaders in sleep. Intricately woven dream catchers, placed by the bed where the morning light strikes them, aid the elders in recalling nightly visions. In Search Of The Spirit honours the Sacred tradition. The gentle, free-flowing rhythms wash over you like sleep. Listen with your heart. This soothing and meditative music will carry you in waves of tranquil bliss, into a state of complete serenity. The exotic sounds of the jungle features an inspiring array of some of the planets most beautiful and most endangered species. In the heart of the jungle, hundreds of miles from civilisation these amazing creatures ensure that this album will conjure images of the best that mother nature has to offer. The Lily Pond or nature's water garden comes to life in this two part music and nature symphony featuring the unique voices of the Rainforest gently intertwined with beautiful piano melodies to soothe and relax the body, mind and soul. This relaxation therapy is ideal for focusing the mind, lifting you out of your day-to-day level of consciousness into a state of passive awareness at which point your body can alleviate symptoms of high blood pressure, chronic pain, anxiety and insomnia. A new born baby benefits from music specifically played at sixty beats per minute as it mirrors the Mother’s heartbeat, which the baby has become accustomed to during pregnancy. Enjoy the best that Nature has to offer, from the serenity of the sea to the raw excitement of a fierce thunderstorm. This collection features 6 wonderful albums from Global Journey’s Nature Series. Join the Whales & Dolphins on their odyssey across the mighty Pacific Ocean. The emotive songs, clicks and whistles of these amazing mammals are accompanied by superb original musical arrangements by Steve Hogarty. The music ebbs and flows like the tide and blends symbiotically with the vocals provided by the Pacific inhabitants. From meditative to upbeat this album will take you on an amazing journey to the mysterious world of the Pacific Ocean. These beautiful, solo piano melodies ebb & flow with the serene sounds of the ocean. Embrace the sound of clear waves rolling over golden sands; and the gentle incoming breeze from a clear ocean horizon. The stunning and awesome beauty of the rainforest is captured in this evocative recording. The exotic melodies are provided by numerous species of birds, insects, mammals and the odd thunderstorm. All of which will ensure a captivating experience. Reiki is an ancient form of hands on healing. This powerful holistic therapy stimulates the body’s natural healing abilities. The word Reiki means ‘Universal Life Force’. Spirits' carried by the wind and experienced through visions, offered early Native American cultures insight into the close bond that exists between nature and man. Music, particularly that of the flute, facilitated communion with the spirits and was an important part of religious ceremonies. This album of enchanting melodies features the Native American wood flute gently woven with the sounds of wind and wildlife, creating a unique and meditative experience. The sultry and sensuous tones of the saxophone are fused with the relaxing sounds of waves gently caressing the golden sands of a secluded beach. Each wonderful track is dedicated to one of the world's most stunningly beautiful beaches. On a Peruvian beach the sun sets on another blissful day as the mighty Pacific ocean gently washes over the golden sand. The idyllic setting is only enhanced by the gentle sounds of the pan pipes, played as only the South Americans can. Beautifully soft tones that permeate throughout your entire body; subduing your senses into a dream-like state. The Wolf, a most mythical and spiritual animal, is revered by Native Americans who perceive an elemental and hereditary link between the integrity of family within Native American and Lupine culture and the wider characteristics of each tribe and pack. This album reflects the symbiotic nature of the wolf and Native American. The vocals are supplied by both man and wolf and the Native American instrumentation weaves a vivid canvas that portrays the mutual respect and appreciation between man and wolf. Tai Chi Chuan is both a martial art and spiritual discipline. Its movements are slow and meditative, yet have an unseen internal strength. It is this combination of soft and hard, or Yin and Yang, which generates the great rewards of improved health and fitness physically, mentally and spiritually. The Legends Collection pays tribute to those seminal recording artists who didn't just add to the musical montage but took it to new heights. Their legacy is assured by the constant accolades they receive from each following generation of recording artists. The sea, timeless, rhythmical and ultimately soothing. The therapeutic effects of listening to the sea are well documented, so sit back, relax and let the sound of the ocean flow over you. Percussive instruments were the musical focus of all ancient cultures and notably the drum. This wonderful album highlights Native American, African, Hispanic, Aboriginal and South American influences and then merges them with the awesome sounds of a thunderstorm........the result is simply stunning. This stunning albums merges the amazing piano compositions of Mark Phillip with the awesome yet relaxing sounds of a thunderstorm. The acoustic interaction between pianist and thunderstorm is mesmerising; the poignant music interspersed with the ephemeral claps of distant thunder and all the while the hypnotic rhythm of the rain.....a truly memorable experience. One of natures most powerful and wondrous phenomena - the Thunderstorm. This album follows a thunderstorm from a light rain shower through to the full fury of the storm and finally at the end, the sound of distant thunder as the storm passes. For centuries Tibetan Monks have used the vibrational tones of The Tibetan Bowls to induce a trance like state, ideal for meditation. These subtle tones promote many health benefits. Sound travels in waves and the vibrations of the bowls, like the ripples on a lake, can calm our brainwaves; promoting a range of health benefits by releasing a sense of harmony. The Bowls are accompanied but the subtle sounds of nature. For all eternity the sea endlessly caresses the sandy beach leaving whispering traces of foam and producing a tremendous sense of tranquility. Tension and stress ebb away as the soothing sea combined with the most reflective and delicate music wash over you. Combining the calming sounds of the sea with gentle keyboard melodies. Lull the sense with soft keyboard themes and gentle ocean waves. Welcome to the serene world of the Humpback whale. The haunting sounds of these creatures resonate through the blueness of their idyllic ocean home. This underwater sojourn is a celebration of our planets most awesome inhabitants.